CFTC Chair Advocates Greater "Quantitative Regulation"
CFTC Chair J. Christopher Giancarlo urged the CFTC and other market regulators to adapt to modern digital markets and transform themselves into quantitative-driven agencies. In an address at FinTech Week, Mr. Giancarlo urged the CFTC to improve its response to the increasing centrality of data in market activity with more up-to-date quantitative data analytics capabilities. He highlighted the following key themes: (i) the central role of data, (ii) the importance of automated data analysis and (iii) the use of machine learning to increase effectiveness. He clarified that being a "quantitative regulator" does not mean replacing human judgment and market intelligence. Rather, Mr. Giancarlo explained, quantitative regulation means freeing CFTC staff from repetitive tasks to focus instead on high-value activities. Mr. Giancarlo also claimed that the ability to (i) digitize rule sets and (ii) consume, process and analyze data in real time could enable the CFTC to be more "agile" in its regulation. 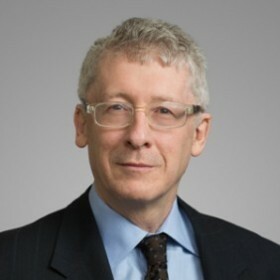 He cited the ability to identify segments of the markets where concentration risks or unrecognized counterparty exposures are emerging and flag them for staff consideration and, on the enforcement side, to identify patterns of likely illegal trading activity or attempts to manipulate markets. Mr. Giancarlo recommended that the CFTC establish a new office of data and analytics as a stand-alone department to serve CFTC needs and operating divisions.